So, a post that isn’t entirely centered around food, finally;). I’m taking Asian American Lit this semester, and I just got done watching a movie called Picture Bride. I have to be honest, I haven’t had a whole lot of luck with the films I’ve had to watch for my classes thus far (with the exception of Smoke Signals). Boy, was I in for a pleasant surprise! This film is a masterpiece…absolutely fantastic…a beautiful love story built around the concept of the “picture brides,” Japanese girls who were sent from Japan to marry laborers in the can fields in Hawai’i. It was amazing. If you ever get a chance to watch it, I definitely recommend it. And if you’re local, I’ll be more than happy to loan it to you! One of the best things about this one was that not all of it was in subtitles…there was some actual English, so I was able to get another repeat done on my bell-sleeved shrug. However, I was looking at the pattern and I don’t think that the girl made the length right, so I’ll have to make some adjustments, I think. 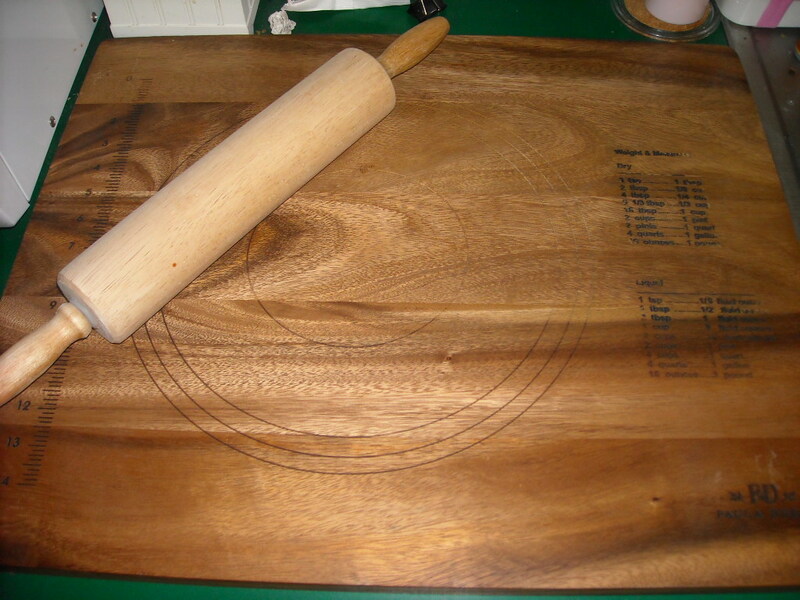 Yep, a pastry board! I have been bummed since we bought the house that I didn’t have a good place to make and knead dough. I didn’t like to use the counters, and we have a rolling kitchen cart, but it’s got a built-in cutting board, so kneading on it makes a mess. I’d been using my big plastic cutting board, but that’s not been working well because…well, plastic is sticky! So, we saw this at the Wally World yesterday and Joey told me to have at it! I used it last night for the Sweet Potato Gnocchi! Yay for your pastry board and for watching a good movie!